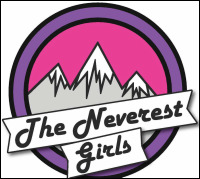 The Neverest Girls is a group of passionate female runners based in Chamonix, France. We're not elite athletes, but we push ourselves to our own personal limits. We love nothing more than running in the mountains together and enjoying the trails and stunning views that our beautiful home offers us. Running to us is not a solitary pursuit, but a team effort. This sport is our passion, our support system and our freedom. We work hard, play hard and run hard, and we appreciate how lucky we are to have the opportunity to explore our passion for sport as a part of our daily lives. Unfortunately, not everyone has the ability to pursue the sport they love. With this in mind, we've made it our mission to go out again, to raise awareness and funds for A Chacun son Everest, a fantastic charity who offer help and support to woman and children affected by Cancer. The 10'000 Challenge. This time around we are all working together like never before over an entire racing season. The Neverst Girls aim to run 10'000 kilometers in total throughout 2017. To give you an idea, that's like running the distance from Chamonix, France to San Francisco, USA with a bunch of intervals of the Golden Gate Bridge tacked on at the end. Each of us have mapped out our race plans and the training required to prepare ourselves for such a tall order. Below are some of the events that we will be toeing the line in 2017. The girls have run the highest marathon in the world, enduring harsh conditions which lead to an emergency evacuation from Everest base camp. We've run for days across the Rocky mountains of Colorado, USA and tackled numerous other long and grueling races in all kinds of weather. Sadly our efforts to run The Haute Route in 2016 were unsuccessful due to the amount of snow that remained in the mountains late into the summer, making it potentially a very unsafe adventure. The 10’000 Challenge is a whole new level of madness and will require long-term commitment, a huge amount of time spent in the mountains and out on the trails, come rain or shine, and will be an enormous physical and mental test for us all. To follow our progress, check us out on Strava! Since 1994, A Chacun son Everest has offered support to women and children who have been affected by cancer, using their Chamonix residence as a base. The charity aims to provide each individual with respite care, support to regain their confidence, to reconcile with their bodies, to find a new energy for life and to look forward to the future. All of our trips and races are self-funded and all proceeds raised by the Neverest Girls go straight to charity. Please support us to achieve our target for an amazing charity by clicking on the donate button below. ​Every penny helps us to raise money for such a fantastic cause!